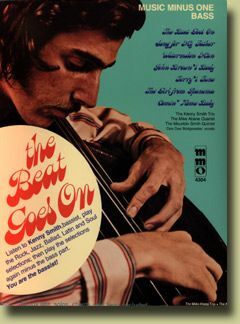 As a professional bass player in the 70's Ken made himself a career as a musician, doubling on electric and double bass. 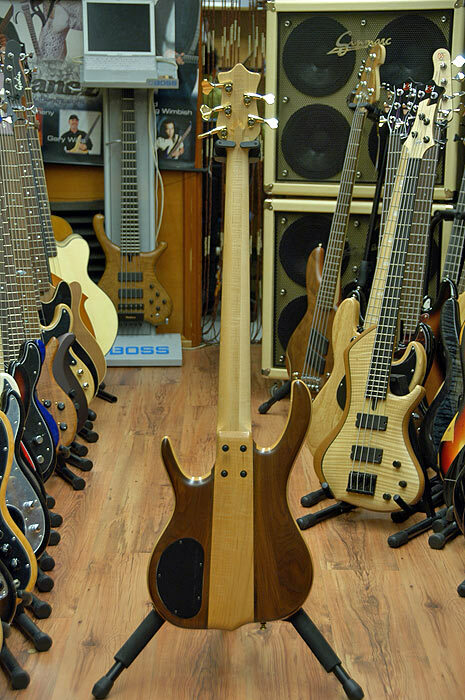 After that he decided to open up his own shop in order to build the best electric basses in the world. Few companies before Smith had taken such a serious approach to bass building, with special care about wood selection, storage, building process and electronics. Maybe you don't know it, but Ken is a true Electric Bass Pioneer, having introduced and developed many of the features that are considered "standard" in the industry today and are widely used by some other companies. 1978 to the present: All wood selection & final set-up for every Bass is still done by the founder of the company, Ken Smith. The bass you see here is a BSR5MW. model. This means it is a bolt-on neck instrument with a Tiger Maple core body and Walnut wings. This gives the instrument the look of a Neck Through Bass and the attack of a Bolt-On. Pefect! The body is carved in such a way that instead of the bulky heel you'll find in most bolt-ons, you get a smooth neck to body joint, making access to the upper frets really much more comfortable. The neck is made from a 3 piece laminate of hard rock maple, and it sports 24 perfectly seated frets on a Pau Ferro/Morado fingerboard with no face dots for a clean and classic appearance. 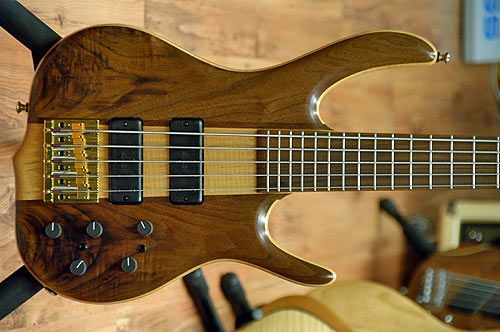 Wood selection and storage is really important for instrument building, but unfortunately this is many times overlooked, giving as a result basses with necks that bend too easily and frets that feel rough on their edges because the fingerboard has shrunk. Ken makes sure that all the wood in his basses has been stored for at least 2 years (4 in the case of maple and 6 if it is walnut, and this is just the minimum time), so when you buy a Smith bass you can be sure that the instrument will be stable and problem free for years. As you can see, the standard 18mm spacing at the bridge makes for a roomy neck that is perfect for all types of aggressive techniques, but also feels very comfortable for chord work or soloing, thanks in part to the nice thin neck profile. The finish is "Ken's secret sauce", consisting of Hand Rubbed Dutch Varnish over Stradivari Gold Oil. Playing this bass is a joy. The two horns in this model are beautiful and also functional: the lower horn acts as a nice rest when playing seated, and stays out of the way when you play up the neck. The upper horn is longer than previous Smith designs, which means perfect balance when the bass is played with a strap. Ken is one of the luthiers who prefers to stick to 34" scale basses regardless the number of strings. Some other builders use extra long scale in order to get a good low B, but you have to listen to this one. It is loud, tight and focused, all in a familiar 34" neck. Congratulations Ken! Instead of the more standard 3+2 machineheads arrangement at the headstock, Ken chose the reverse 2+3 design for this bass. This has the advantage of making the low B travel a bit further until it reaches its machine, which translates into a better angle at the headstock and more distance from the nut. Let's go to the electronics: two Custom Smith humbuckers with exposed polepieces (height adjustable) are used to capture all the nuances of this instrument. They have a wide frequency response, and the 3 band EQ is well voiced and offers enough cut and boost to adapt the sound to a variety of real life situations. Pulling the Volume pot defeats the EQ, but there's more: we asked Ken to install two Series/Parallel switches (one for each pickup), and we are glad we did, because you not only get the trademark Smith sound (coils in Parallel mode), but also a more punchy sound when you change to Series mode. With one of these swtiches for each pickup, the sonic possibilities of this bass are boosted. 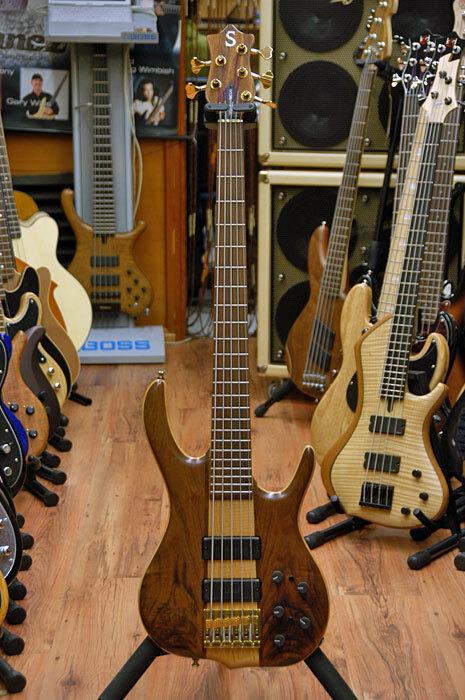 Describing sound with words is always difficult, but in case you cannot come to try these basses at Doctorbass.net, we'll tell you these basses have a clear, natural sound, with that trademark nice upper mid detail that says "Smith" as soon as you plug them in. 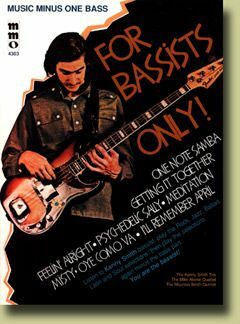 That's why Smith basses are the favourite axe among so many Jazz and Fusion bassists. Walk into a studio with this bass and you will see the Sound Engeneer put a smile on his face, because you'll be making his life a lot easier. There are loads of top players using Smith basses around the world. Click here to see a short list of some of them: http://www.kensmithbasses.com/artistpages/themusiciansandartists.htm).